Ooty is one of the best places for its climate and natural beauty, preferred by most tourists and Green building architecture to develop green buildings. It is one of the most popular tourist destinations, popularly known as the ‘queen of hill stations’. Sprawling grasslands, lofty mountains, dense forest and miles and miles of tea gardens make Ooty, a picturesque beauty. If you are to start a project at Ooty, Mariya Group is always there to help you with the best design concepts. Being a hill station and having different climatic conditions, a project at Ooty would require expert architect consultation. With a skilled team of experts, Mariya Group offers comprehensive range of design solutions, from concepts to planning and designing. 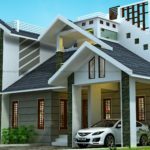 For a project at Ooty, choose us for Architectural Designs, Structural Designs, Interior Designing, Landscape Designing and any architecture related solutions. We offer design solutions for custom-designed homes to commercial spaces. GREEN BUILDING ARCHITECTURE  Green building  Also known as green construction or sustainable building refers to a structure and using process that is environmentally responsible and resource- efficient throughout a building’s life-cycle from siting to design, construction, operation, maintenance, renovation, and demolition. Green buildings are designed to reduce the overall impact of the built environment on human health and the natural environment by:  Efficiently using energy, water, and other resources  Protecting occupant health and improving employee productivity  Reducing waste, pollution and environmental degradation. The successful adoption of green building strategies can maximize both economical and environmental performances of building. 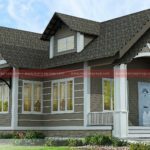 GREEN ARCHITECTURE  Green architecture or Sustainable design is the philosophy of designing a building that is in harmony with the natural features and resources surrounding the site. There are several key steps in designing sustainable buildings: specify ‘green’ building materials from local sources, reduce loads, optimize systems, and generate on-site renewable energy.